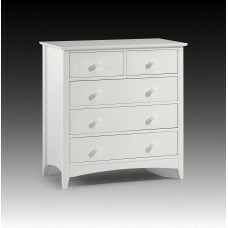 The Cameo white bedroom furniture range is a modern twist on a classic design. 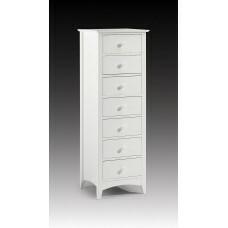 This beautifully painted range of bedroom furniture adds a splash of elegance to any bedroom and superbly accompanies a white bed frame. 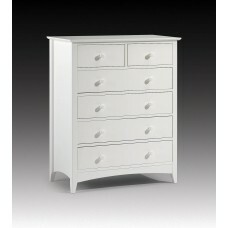 Take a look through our collection of Cameo white at Dial-A-Mattress. 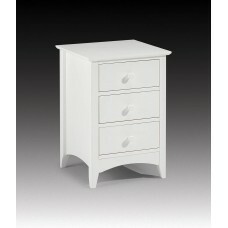 Cameo 1 Drawer Bedside A stone white lacquered, shaker style bedside chest with 1 drawer. 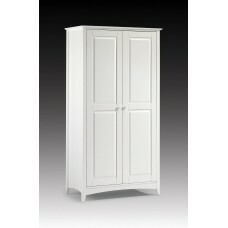 43..
Cameo 2 Door Robe A stone white lacquered, shaker style wardrobe with 2 doors and internal shelf ..
Cameo bedside £119 The Cameo collection is a modern twist on the old Shaker style of furniture..
Cameo 3 plus 2 Chest A stone white lacquered, shaker style chest with 2 small drawers over 3 larg..
Cameo 4plus2 Chest A stone white lacquered, shaker style chest with 2 small drawers over 4 large ..
Cameo 7 Drawer Narrow A stone white lacquered, shaker style tall chest with 7 drawers. 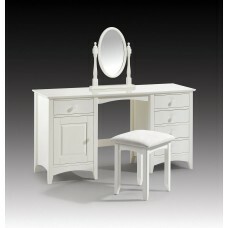 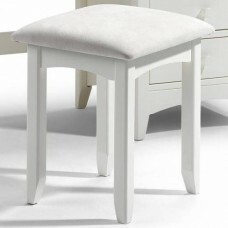 A perfect ..
Cameo Dressing Table Twin Pedestal Dressing Table in Painted Stone White Finish Stool and mirror n..
Cameo Stool A stone white lacquered, shaker style stool with faux suede seat pad. 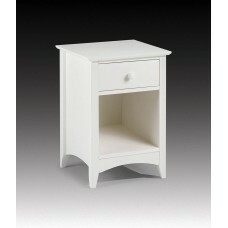 42cm X 36c..